Poetry. LGBTQIA Studies. 2019 Lambda Literary Award finalist for Transgender Poetry. 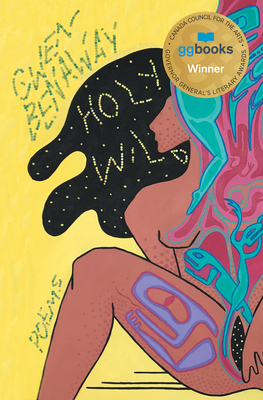 In her third collection of poetry, HOLY WILD, Gwen Benaway explores the complexities of being an Indigenous trans woman in expansive lyric poems. She holds up the Indigenous trans body as a site of struggle, liberation, and beauty. A confessional poet, Benaway narrates her sexual and romantic intimacies with partners as well as her work to navigate the daily burden of transphobia and violence. She examines the intersections of Indigenous and trans experience through autobiographical poems and continues to speak to the legacy of abuse, violence, and colonial erasure that defines Canada. Her sparse lines, interwoven with English and Anishinaabemowin (Ojibwe), illustrate the wonder and power of Indigenous trans womanhood in motion. HOLY WILD is not an easy book, as Benaway refuses to give any simple answers, but it is a profoundly vibrant and beautiful work filled with a transcendent grace.